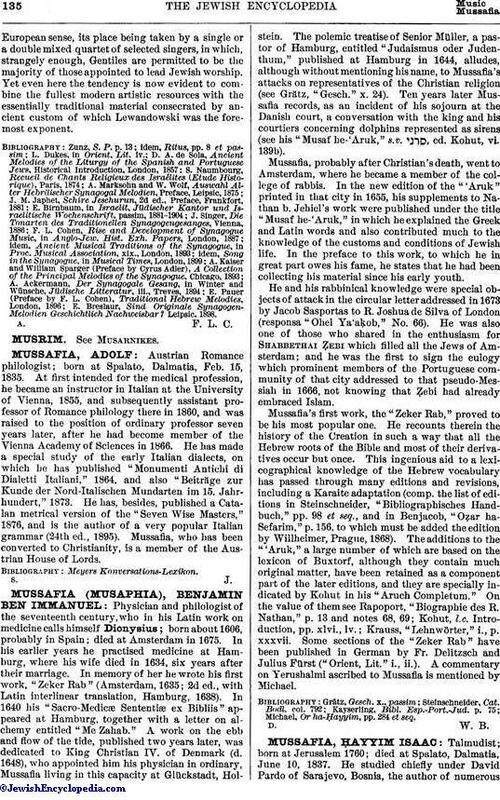 Talmudist; born at Jerusalem 1760; died at Spalato, Dalmatia, June 10, 1837. He studied chiefly under David Pardo of Sarajevo, Bosnia, the author of numerousTalmudic works; and he so rapidly progressed in his studies that he was recognized as a rabbinical authority while still a mere boy. At the age of seventeen he became rabbi of the congregation at Spalato, which position he held for sixty years, until his death. Mussafia wrote: "Ḥayyim wa-Ḥesed" (published after his death by his children, Leghorn, 1840), discussions on Jacob ben Asher's Ṭurim; "Ḥiddushe Dinim" (ib. 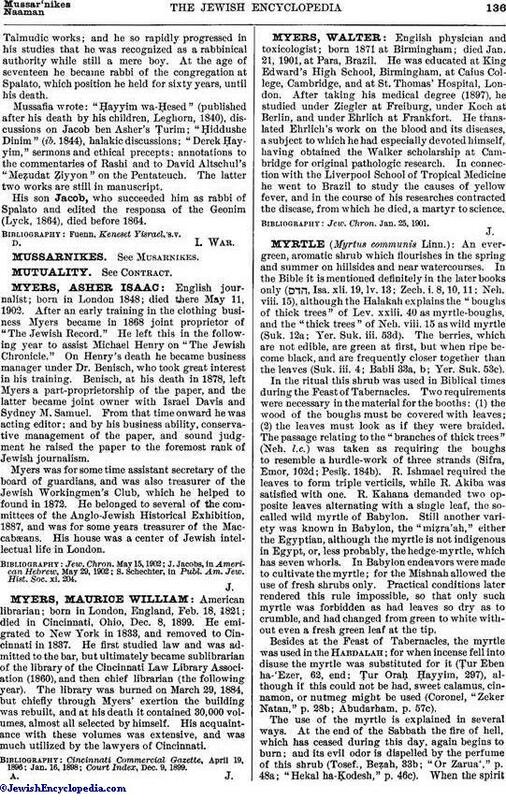 1844), halakic discussions; "Derek Ḥayyim," sermons and ethical precepts; annotations to the commentaries of Rashi and to David Altschul's "Meẓudat Ẓiyyon" on the Pentateuch. The latter two works are still in manuscript. His son Jacob, who succeeded him as rabbi of Spalato and edited the responsa of the Geonim (Lyck, 1864), died before 1864.